The sketches are photographed at dark in the café! I stayed with an Indian friend and she took me to some sari-shops where we looked at super dazzling indian costume jewellery! And I got some very huge prandis, the decoration for your plait. I am going to use them to make some show decorations for the Tarq! There were a couple of really nice art cafés in Derby! I had no idea! A ten minute sketch, because we were having tea at M&S and they wanted to close so we got kicked out! Mark this face: Shivanna, future Pop star! Hmmm. What about Captain Kabob and Shivanna for a mega-star-duo? Now my friend lives in what could be called: The Stately home triangle. It’s really palace-central! There are so many sites I want to see all at her doorstep! Upton hall, Hardwick hall, Chatsworth, Haddon Hall, Peveril Castle, Kedleston Hall (Adam interiors) and Calke Abbey. Unfortunately, all these places are closed since last week!!!!!!!! So we just roamed about the park a bit at Calke Abbey. And although not nearly as good as the house itself, which is something of a time capsule, the outbuildings were quite cool. But, being cold and windy, I did a sketch from the comfort of the restaurant. I love these travel reports. Cute outbuildings and your friend is so pretty! Nice to see you and the jewelry you bought for Tarq. Great post! It’s great you had such fun with your friend. I’m looking forward at seeing your finished decor for Tarq! 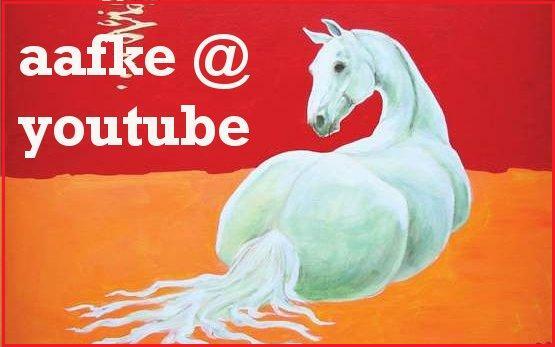 I’m becoming a great fan of your glue brush paintings, they have a Picasso / Van Gogh kind of energy, and I love the way a few strokes capture the alertness and liveliness of your horses! But my friend is just as pretty! Lat, although more hobby as art-work, I will put them up when finished! intlxpatr, Thank you! I am back, but I had an upste stomach, very bad cramps. Anyway all better now, but a few days behind on my diary paintings.